When you have kids your money does get tight, especially when you have your own house to pay for with bills etc. Our bills come up to near a £1000 a month. We can just about to afford it. I had to quit my job of 2 years after maternity because i couldn't afford childcare for both children & the travelling costs to get there because i had moved. Anyway i'm not the best person to save money, but what i do is put all my loose change in a pot. I've saved over £100 in not much time tbh! Even if you just save £1 a day or even £10 a week, just think how much you would save by Christmas! 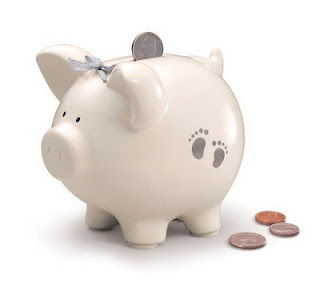 There's only about 7 months left until Christmas now (sorry haha) so we all better start saving to spoil our kiddies :-)!